CSS at Lancaster has a very active community of Feminist Technoscience Scholars who work on various substantive topics including health, medicine and bodies, human-computer interaction, reproduction, environment and genetics. The Feminist Technoscience Summer School is team-taught by these scholars, together with guest tutors. It runs every second year, usually in May. It has attracted participants from across Europe, the US and Australia and has received fantastic reviews from all participants – teachers and students alike. We work together over an intensive four days. The format includes lectures, text workshops (working closely with key texts), practice-based workshops (working with empirical materials), film screenings, socialising and activities outside the University. Our object is to learn, debate and transform the topics that we study. 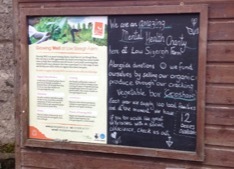 In 2016 the theme for the school was Care Matters and we visited Growing Well, a local mental health charity. In 2018 there will be no separate Feminist Technoscience Summer School. Instead we’ll be running a doctoral event as a part of the 2018 EASST meeting. The school is taught by ….